My name is Wayne. I have been an mechanic since 1982. 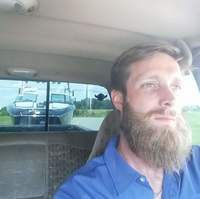 I have experience working on US, Asian, and European vehicles. I look forward to getting your car back on the road. Carlton is currently not taking new appointments. He was not able to perform the service because my drive shaft is sealed. He took a look at it and said it was good, however after I started driving again, the clunk and noise is still there. I am not satisfied with the service provided by your website. I paid $80 for a person to come over and do and inspection on my car. Had I taken the truck to his shop he would have not charged me after looking at it for 2 minutes like he did at my home. I think it’s fair to pay the gentleman for his time and drive ($40), however I don’t think it’s for for me to pay you the remainder. If you are going to offer these types of services, the. Your website should be savvy enough to be able to tell me that this job was not one he could have done at my home and saved me the money. I feel like I should get a partial refund since the job was not done. I should note that Carlton “Wayne” was great. Great job! Showed up right on time and walked me through step by step. Would definitely book again. Very responsive, friendly, professional, thorough and honest. Great professional! Kept me informed throughout. I was very impressed. 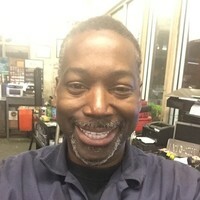 Knowledgeable, friendly, listened when asked a question, professional and I will call again Thanks Carlton for working on my car. I would request services with him again. Very quick and easy to work with! 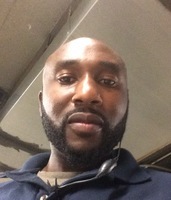 Carlton was early, solved the problems and completed the repairs in a professional manner. Great job. Carlton (aka Wayne) provided excellent service. He showed up 30 minutes early (which to us was a great thing). He was professional and easy to work with. I recommend him. Good mechanic! Very knowledgeable about the root causes of various car issues. Carlton, known as Wayne in most states, was on time, professional, knowledgeable, and braved the cold to finish the brake job as the temperatures and the sun dropped. He maneuvered effortlessly in and around my vehicle, clened up all waste and there were no "left over or extra parts". I'd confidently seek Wayne's service for my next vehicle need. Amazing, friendly, honest and overall a pleasure to deal with. Very professional and made sure to explain everything to me.